The AB41 which came into production in early 1941, not only came with a new armament (one 20 mm high-velocity anti-tank gun, one coaxial 8 mm Breda modello 1938 machine gun, and another relocated to the rear of the hull. Later a new SPA engine was needed to cope with the additional weight of the turret, producing 120 horsepower. This extra power not only permitted to maintain the speed, but it’s higher torque provided also a better off-road capacity. Most AB 41’S received this new engine in mid-1942. The complicated four-wheel drive and four-wheel steering system needed a rear driver, manning with the front driver six forward gears and four reverse gears. It was never really practical in operations,. All AB 41’s were fitted with a good radio and a tall , folded antenna, to be used as scout vehicles. They proved highly valuable in desert operations. There were also other flaws: the rear power plant was difficult to access, the fuel tank was unprotected, and there was no separation between the crew and the engine compartment, making the interior noisy and very hot, despite extra ventilation to cope with the climate in Italian colonies. Eventually, the turret that was inherited from the L6/40 tank was a one-man turret, the commander being also the loader of both the 20 mm and its coaxial machine gun. Provision was 2000 rounds. The Autoblinda AB 41 however was considered successful and 550 were built, until the Italians surrendered. Many saw service later under German colors. Italeri is a prolific model company based in Bologna Italy. They make all manner of model subjects in the popular scales. This kit comes in a tray and lid type box that is not shrink-wrapped. It is held shut with 2 circles of Scotch tape. 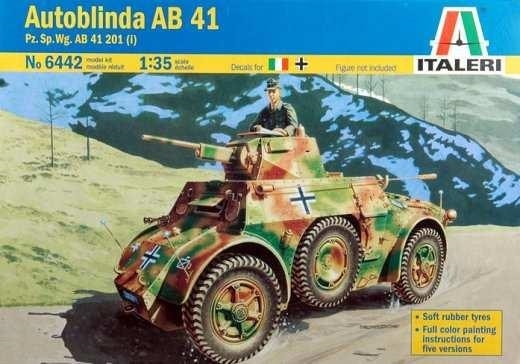 The box art shows a AB 41 on a dirt road with mountains in the background. It is in an overall base coat of dunklegelb (sand yellow) with mottling of olive green over it. A narrow German black cross outlined in white is on the hull sides and the bow. It is a vehicle with the German Army’s Aufkl. Abt. 236, 162nd (Turkische) Infantry Division, Italy, early 1944 (this marking scheme provided on the kit’s decal sheet). 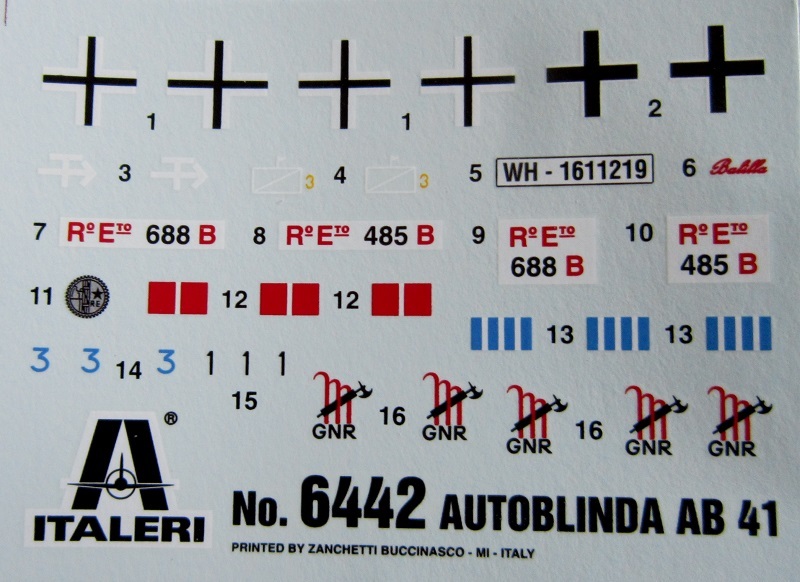 The box art further says that it includes decals for Italian and German vehicles, showing the flag of Italy and the German cross instead of naming the countries. Figures are not included. 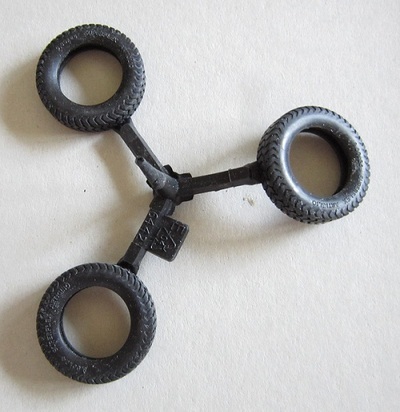 Rubber tires are included and full color painting instructions for 5 schemes. One side panel gives 2 different web address for Italeri and their street address in Bologna Italy, followed by one paragraph histories of the AB 41 in 6 languages, marked with the flags of the countries that speak those languages, including English. 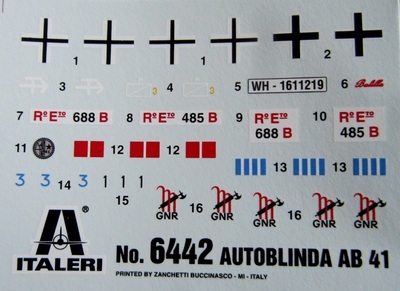 The other side panel repeats all the addresses for Italeri, followed by the statement that cement and paint are not included. 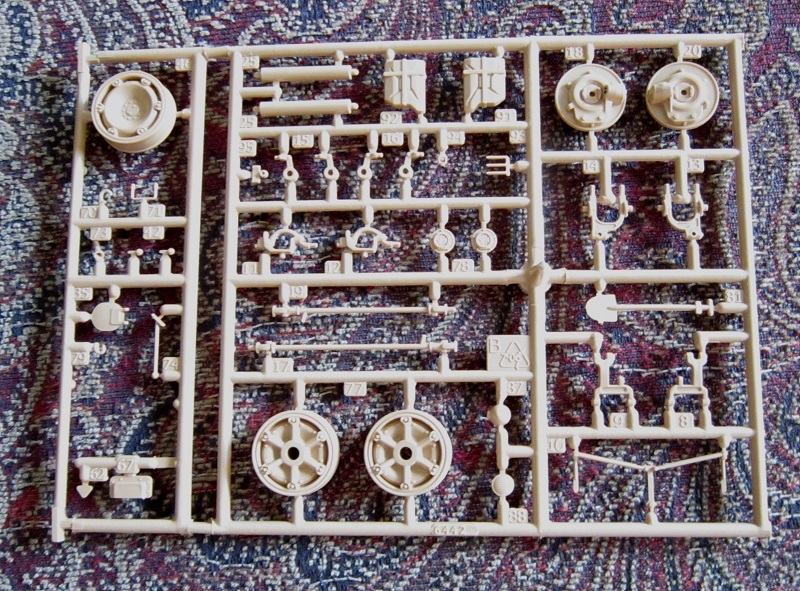 It has multilingual instructions, a decal sheet and is suitable for modelers 10 years and older. The copyright date is 2005. A list of Model Master brand hobby paints is shown and 2 color photos of the model made up. Inside the kit are 5 light tan parts trees. Two trees are co-joined together. The 6 black vinyl tires, the decal sheet, the instructions and a sheet of marking and painting schemes completes the kit’s contents. There are no clear parts or and crew figures in the kit. Parts trees are all loose and not cello bagged. Page 1 of the instructions has the history of the AB 41 in English, Italian, German, French, Spanish and Dutch, followed by “Attention-useful advice” in 11 languages, including English. 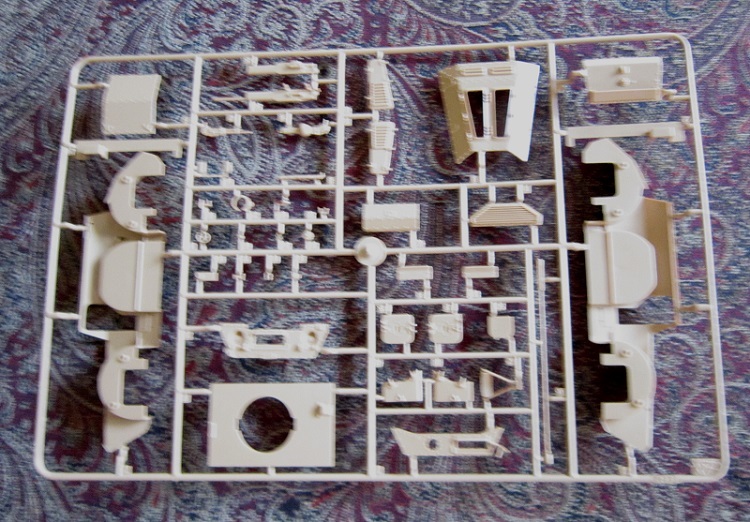 Page 2 has some of the parts trees illustrations on it, followed by the Model Master paints list. Page 3 begins with more Parts trees illustrations. Below these is the first assembly step. Page 4 through 9 give a balance of a grand total of 14 assembly steps. The bottom of page 9 has the decal application instructions in 9 languages, including English. Page 10 has “Important information concerning this kit” in 20 languages, including English. The bottom of the page has a mail-in coupon to use for any service needed with the kit. 1. A German army vehicle with Aufkl. Abt. 236, 162nd (Tukische) Infantry Division, Italy, early 1944. The box art subject already described above. 2. A German army vehicle with I./Elite-Polizei Regiment, Bolzano, Italy, summer 1944. It is in an overall base of dunklegelb (sand yellow) with narrow squiggles of olive green and a narrow German black cross outlined in white on the turret front. 3. A Italian vehicle with the Italian Regio Esercito, unknown unit, Sicily, 1943. It is in a base of dunklgelb (sand yellow) with heavy mottling of Italian olive green and dark brown. 4. A Italian vehicle with the Italian Regio Esercito, Lancia di Montebello Regiment, Rome, September, 1943. It is in a base of Italian olive green with dots of dunklegelb (earth yellow). 5. A Italian vehicle with the Italian Republica Sociale, Gruppo Corozzato Leoness, Torino Italy, early 1945. It is in overall Italian sand. 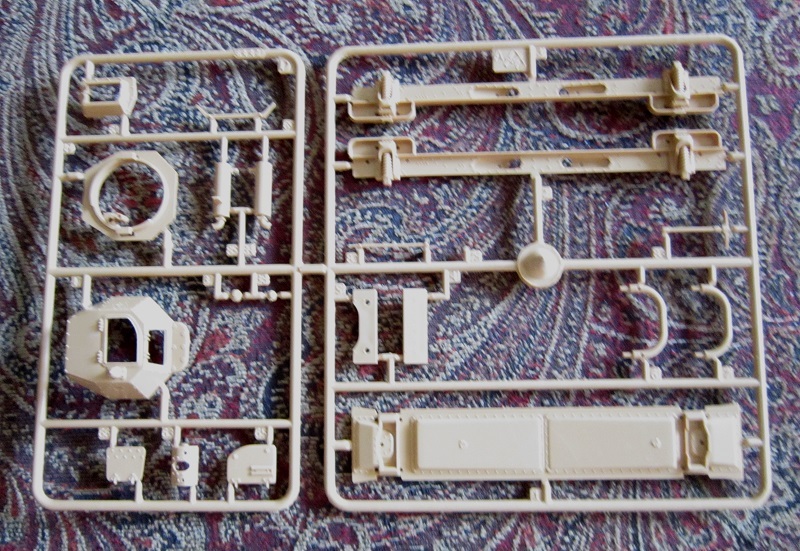 Medium sized light tan letter A parts tree holds: the hull floor, chassis beams etc. (9 parts) This tree is co-joined to letter D tree. There are 2 identical small light tan letter B parts trees. They hold: wheels radio antenna, shovel, jerry cans, head lights, suspension arms etc. (39 parts each). The 6 black vynil tires and the decal sheet complete the kit’s contents. 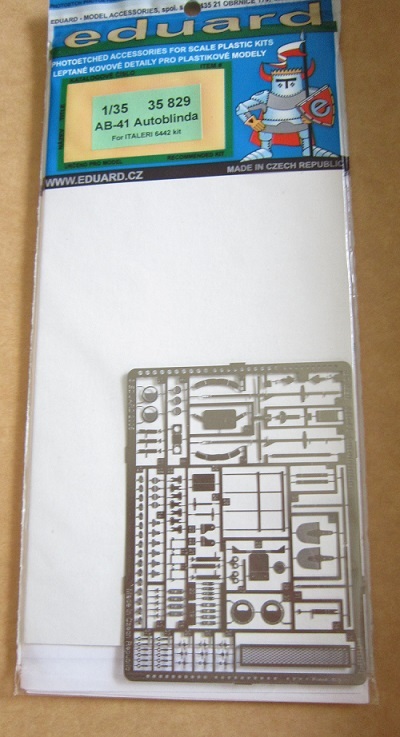 I purchased the Eduard PE set for this kit, set no. 35829. However, when it arrived in the mail I was astounded at how MICROSCOPIC the majority of the parts were on the fret. There were even holes round the edge of it that you heat some sprue and press the molten end of it into these holds to make different shapes of rivets and bolts. A messy operation at best. I know I will NEVER use a lot of these teeny weeny parts. Some are no bigger than a period in this sentence!! I want to thank John Kelley sincerely who made me a gift of this kit back in 2011. I highly recommend it to modelers of average building skills. It is definitely what is called a weekend project. I only wish it had some interior detail for the hull and a crew figure like the guy hanging out of the turret on the box art.